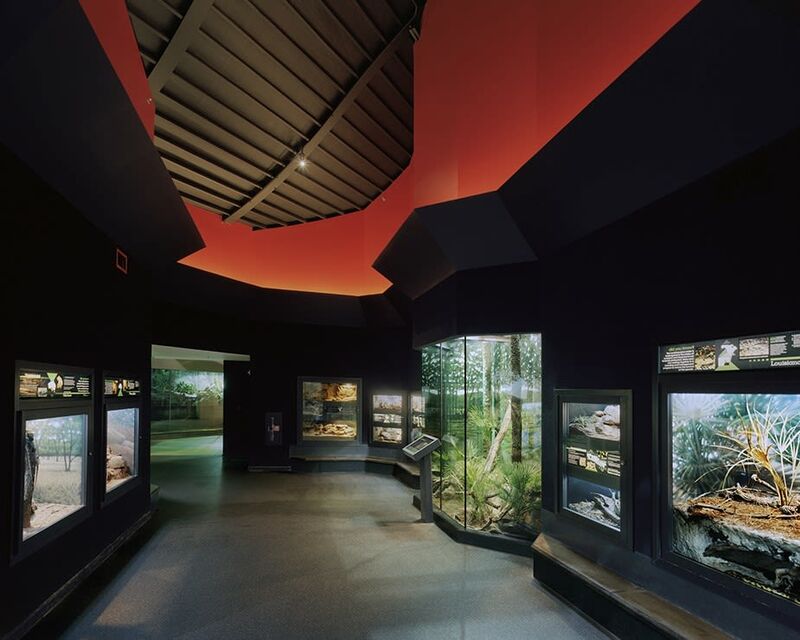 The living, breathing works of nature’s art require not only light to see their surroundings and for museum guest to see them, but diurnal light patterns to entrain their circadian rhythms. 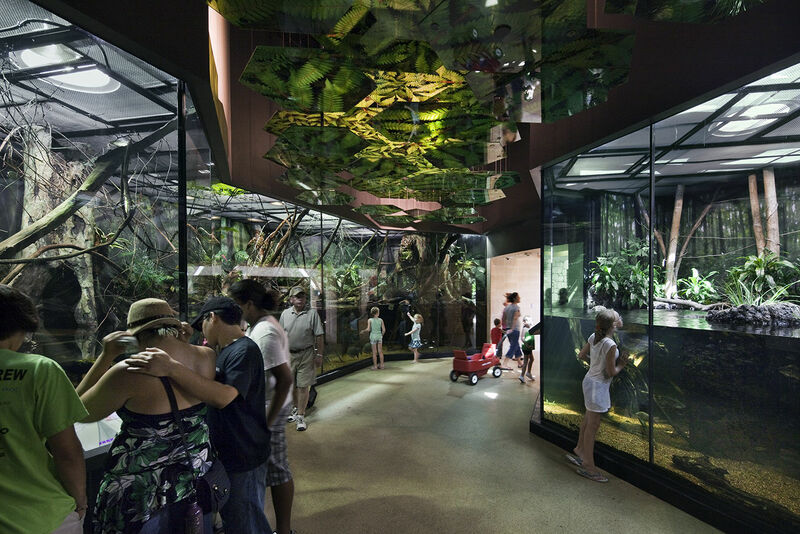 Exhibit lighting takes on a whole new meaning in this environment, where low-light levels for the guest experience is as important for the creatures as well as for the human’s ability to properly observe them. 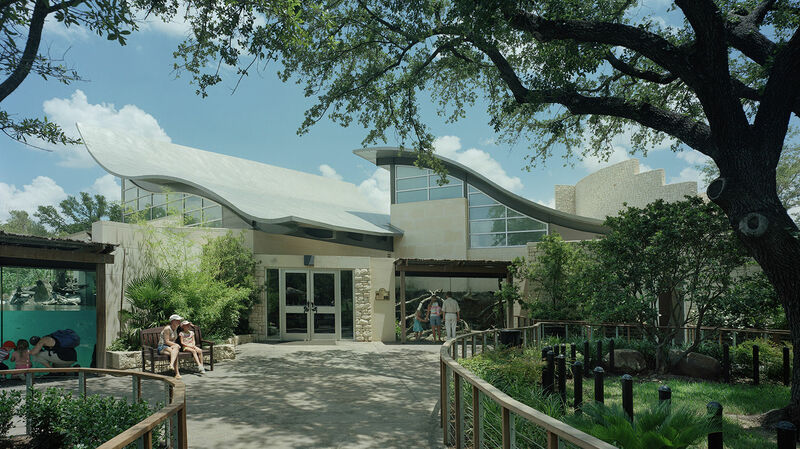 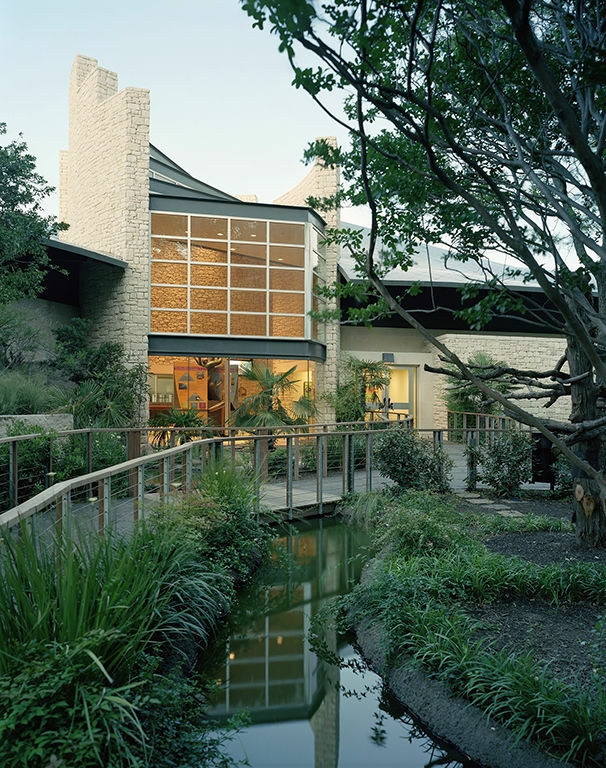 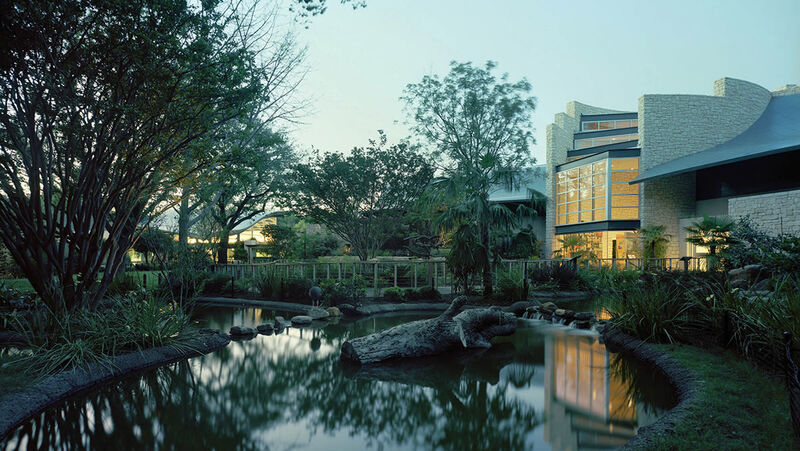 Guests entering from the sunny Texas sunshine are brought into a vestibule that is daylit and just below water level to observe the amphibians swimming in the adjacent lake. 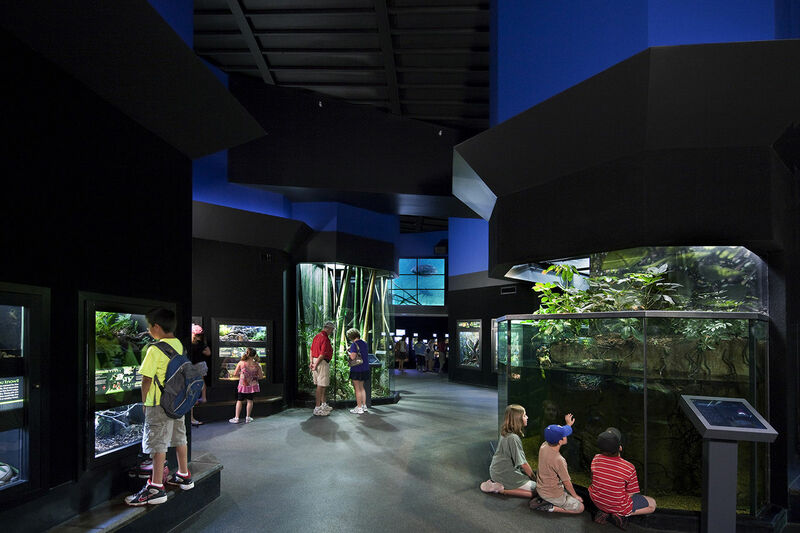 Then they progress into a darkening gallery where the guest area is quite low-level, while the exhibits appear to glow, each with their own quantity and color temp of light. 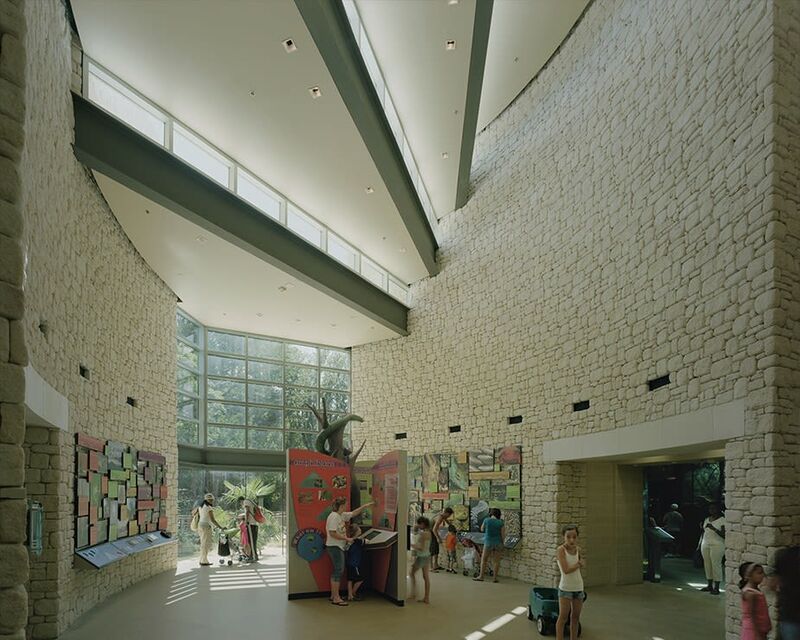 The dappled-light gallery feels as if one is moving through a rain forest, with sunbeams created by spots shining through printed acrylic hexagonal panels to create shafts of sunlight.